Opening in October 2014, Baltimore Gracie Jiu-Jitsu is a certified training center of the Gracie Academy in Torrance, California, offering practical self-defense training and authentic Gracie Jiu-Jitsu classes. Owner Nick Tissue began training in martial arts as a young child. After graduating college, he began teaching karate at his older brother's school in 2008. Soon after, he began training judo and jiu-jitsu under Relson Gracie, and opened a school in Towson, MD in 2010. After meeting and training with Rener and Ryron Gracie in 2013, he decided he wanted to open a new school in Baltimore. 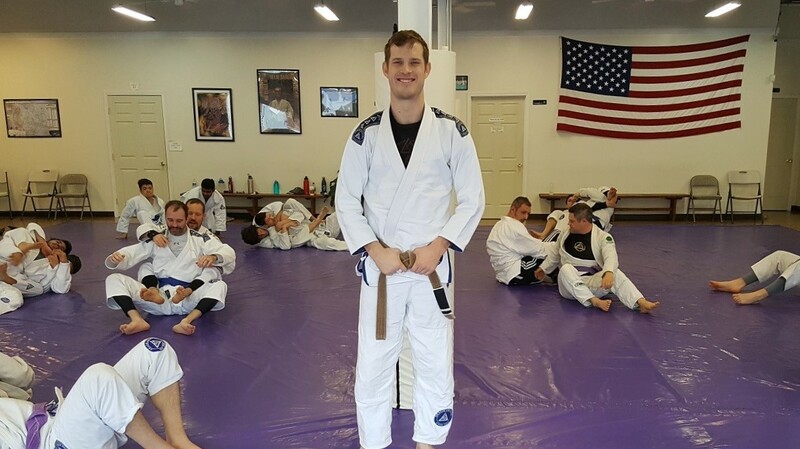 As a Federal Hill resident for over 6 years, Nick realized there were no martial arts schools in the city, and he wanted to bring his love for jiu-jitsu to his community. A year later Baltimore Gracie Jiu-Jitsu came to be. Nick wanted to shy away from the traditional competition-style schools and with the mindset that anyone can do jiu-jitsu, Baltimore Gracie Jiu-Jitsu is a very family-friendly school, with classes for kids, adults, women, beginners, and veterans. Our goal is to provide everyone in our community a safe and friendly environment to learn practical self-defense! Gracie Jiu-Jitsu is a martial art based on the principles of leverage and timing, in order to defeat larger opponents. We train our students in practical self-defense techniques that allow efficient use of one's energy in defending themselves, while forcing attackers to waste energy. Students are trained to end fights through achieving control of an attacker and applying a joint lock, choke hold, or escaping the attack. In 1914 jiu-jitsu master Esai Maeda, also known as Count Coma, was given the opportunity to travel to Brazil as part of a large Japanese immigration colony. In Brazil, he befriended Gastao Gracie, an influential businessman, who helped Maeda get established. To show his gratitude, Maeda offered to teach traditional Japanese Jiu-Jitsu to Gastao's oldest son, Carlos Gracie. Carlos learned for a few years and eventually passed his knowledge to his brothers. Helio Gracie, the youngest son of Gastao, was always a very physically frail child. At age fourteen he moved in with his older brothers who lived and taught jiu-jitsu in a house outside of Rio de Janeiro. Following doctor's recommendations, Helio would spend the next few years limited to only watching his brothers teach. Helio soon realized that due to his fail physique, most of the techniques he had learned from watching Carlos teach were particularly difficult for him to execute. Eager to make the techniques work for him, he began modifying them to accommodate his weak body. Emphasizing the use of leverage and timing over strength and speed, Helio modified virtually all of the techniques and, through trial and error, created Gracie Jiu-Jitsu. A modern day legend, Helio Gracie gained international acclaim for his dedication to the dissemination of the art and philosphy of Gracie Jiu-Jitsu. A dedicated family man who exemplified a healthy life-style, he was the epitome of courage, discipline, determination, and an inspiration to all those who know him. Helio passed away in 2009 at 95 years old. Baltimore Gracie Jiu-Jitsu is one of the many Gracie University Certified Training Centers throughout the world. When you enroll at our school you get free training at all Gracie Jiu-Jitsu CTCs in the world! Check out more school locations here: Certified Training Centers. All students who enroll in our programs receive free access to Gracie University, an online resource which allows you to follow the curriculum at your own pace. You'll receive access to every lesson in written and video format, accessible from your home computer or mobile device.